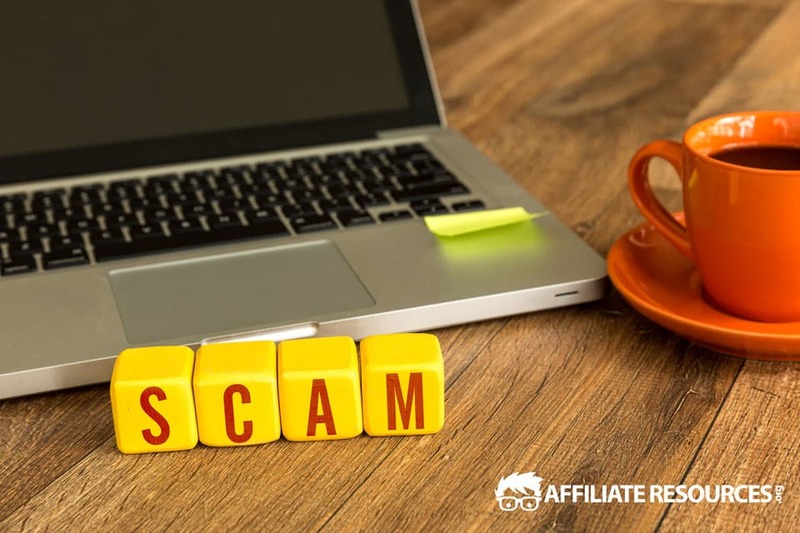 Home » Articles » What is an Online Scam? If you are a new entrepreneur hoping to kick the cubicle and start an online business it is important to know how to avoid online scams. To do that, you need be able to spot the difference between what is an online scam and what is not. As an entrepreneur for more than eight years I have seen my share of online scams. I have also seen a fair amount of good people fall victim to scammers, simply because they didn’t realize and are uneducated in the tactics that are often used. With this guide, I am confident that you have a much better chance at avoiding being scammed online. Take my experience, combined with the lessons of victims less fortunate than your own, and learn to avoid every single scam online that promises big bucks but delivers nothing. The definition of the phrase online scam is, a fraudulent online business scheme. That’s great but it doesn’t do us much good as everyone knows what the basic definition of an online scam. To avoid them you need to know what they look like. For example, if you want to avoid a pothole in the road, you don’t lookup the definition — you try to spot it with your eyes as early as possible. Unlike potholes though, online scams aren’t always easy to detect. They don’t jump off the screen right before you enter your credit card details and slap you in the face. Unfortunately, scams are almost always well disguised to look like great deals and one-of-a-kind opportunities that only a fool would pass up. They are created for the sole purpose of taking your money and giving you as little as possible in return if anything. They come in all sorts of shapes, sizes and packages. Fortunately, there are several ways to spot them, as long as you know what to look for. Let’s look at 3 of the most common signs of an online scam designed to take money from new entrepreneurs. If you are thinking of buying any kind of product or service, you should check to see if transparency is offered. This typically comes in the form of a free trial or some sort of way to see inside the product or service prior to purchase. If there is no transparency, there is probably a reason. The free trial doesn’t have to be a full thirty day, all access pass. Just be sure that you are allowed a little taste of what will be offered if you choose to commit and purchase the product. This can also come in the form of a limited version of the offer or some sort of insider video showing what you get when purchased. Sometimes free trials can come in the form of a money back guarantee. But you have to be careful with these as some refund policies are very tricky. What you are looking for is a ‘no questions asked money back guarantee’. I can’t emphasize the no questions asked part enough. You don’t want to have to explain yourself to someone (scammer or not) who thinks their product is the best and try to convince you to stay. Be sure to read all the fine print which is typically located at the bottom of the sales page. The free trial rule is a great way to separate scams from legitimate opportunities. A company that sells an online product that they truly believe in, is usually willing to offer a free peek to potential customers. Make it a habit to only buy courses, tools and other products that offer a free trial or some form of transparency, you practically eliminate your chances of being scammed. Screenshots of bank statements, checks and paypal accounts have been a part of the scammer’s toolbox from the beginning of online scams. We’ve all seen them. The reality is that screenshots are easily manipulated in photoshop, or any of the free image editors. It takes no time, and very little skill to snap a screenshot of your earnings and add a few zeroes to it. For that reason alone, earning statements should never carry any weight in your decision to purchase something from someone online. In fact, it is entirely possible to fake earning statements right within your own browser. Watch this video where I show you how to fake clickbank earnings right within your own browser. This doesn’t mean that all earnings statements are fake, or that scammers are the only ones that use them. Just know that they can be faked easily, and they are most often used by scammers. Legitimate entrepreneurs don’t usually rely on this tactic because they have other ways of proving their authority. Scammers love to pretend they have found some sort of secret sauce for sales, traffic or search engine rankings. They know that most people are looking for an easy button. And by telling folks they have a special tool, trick, widget or gadget that automates the process to attain sales, traffic or search engine rankings, they can easily get most people to pay attention. Don’t be one of them. There is no such thing as a secret loophole or hidden strategy. If someone is telling you otherwise, you can be certain there’s a scam waiting for you on the other side. In fact, Google is very transparent when it comes to these deceptive tactics and how much they don’t like them including the risk that is run when you try any deceptive techniques. They have created an entire section within their Search Quality Guidelines on various spammy techniques. Online Courses are very popular, especially right now. And scammers are definitely trying to cash in on the action. Knowledge is important for success online, but naturally, beginners feel like they are at a disadvantage. Sometimes, buying an online course feels like the most efficient way to catch up. If you are trying to educate yourself about online business through courses, choosing the right one can be like walking through a minefield — purchase the wrong one and boom!, there goes your hard earned money. Obviously not all online courses are scams though. So how can you tell the difference? Scammers use clever copywriting tactics on flashy sales pages to grab your attention and make you think you have stumbled onto something valuable. If the scammer hired a good copywriter it can be difficult to know if what you are reading is truth, or bogus sales copy. On the left side of the text I have added numbered flags to help us dissect this online scams tactics. These lines are meant to break down your walls and earn your trust by relating to you and providing a hint of truth. Line one grabs your attention because it’s true — making money online is hard, especially for beginners. Line two makes the whole thing relatable, because most people don’t even go to college. If you just happened to find this page while surfing the internet, these two lines will stop you in you in your tracks. These types of words make you think you have found something valuable that no one else knows about. Everyone loves a good secret, but in online business there are none. Sure, entrepreneurs have their own way of doing things, and some combine strategies to maximize their results. But you can learn little tips like that for free all over the internet. There’s no need to pay anyone for them. They aren’t hidden, and they aren’t secrets that only a chosen few have access to. This is where they go in for the kill. Up to this point, what you have read makes you feel like they understand your struggle, and that they know a secret trick that can help you. By the time you read lines four and five you start to feel like not buying this course would be a huge mistake. This is a typical online sales page. It encompasses a lot of the tactics scammers use to trick you into giving them your hard-earned money. However, not all sales pages will look exactly like this. Some might contain only one of these scammy elements, while others contain a combination of them. Ultimately, you have to be diligent about spotting them. You Failed at the Course, is it then an Online Scam? There are several products online that have been labeled as a scam, but are actually great products. How does this happen? Well, unfortunately, due to the large amount of products that make promises like the product above, a lot of people think buying the product is the only thing they have to do. People have been conditioned to believe that there actually are secret tricks that result in easy money. And when they don’t get that — when they realize work is involved — they get angry and call the product a scam. Any time you buy something to help you build your online business, it is your responsibility to follow through. No tool, course or even private coaching will help you if you don’t push yourself. Everything you buy for your online business is a tool, whether it is knowledge or software. Be sure to put into action the tools or training you are paying for and be accountable for your own actions. Don’t call a legitimate purchase a scam if you didn’t follow through with the tool or training. The next time you are considering buying something online, feel confident about knowing the difference between a online scam and something that will provide a real boost to your online success. Before purchasing a course, software, membership, or anything else online, ask yourself if you recognize any of the scammy elements you read about in this post. If so, walk away. And if it disappears overnight, then be thankful you dodged a bullet. A legitimate online opportunity or product is long-lasting, so you have plenty of time to think things over. The key to success in online business is patience and consistency. You have to be willing to put in the work day after day. But you cannot do it alone, everyone needs help. I recommend learning about online business in a community environment, where you can learn from and help others. My top recommendation (and where I got my start), has been around since 2005 and has thousands of members ranging from beginner to seasoned pro. Take a look inside the Wealthy Affiliate community and see what it has to offer. There you will have access to hours of video training, live chat 24/7 and undying support. The part I love is, very first day. That is a pretty bold claim and I see a lot of programs still being sold to this day based on their ability to make you instantly rich. Yes, having good content and having captivating headlines are powerful things and always will be, but people are growing tired of the all sales and “hidden” product approach within the Internet marketing world these days. I have a unique suggestion. How about people explain the benefits of their actual product, the features of their product, and what people are actually buying. It is like going into a grocery store and seeing rows upon rows of black boxes and jars, no label, no idea what is inside. Would you buy it? No. Then why are you buying products online that don’t tell you what they are? Food for thought for those that are still chasing shiny objects out there. This is a great way of breaking down what people need to be on the look-out for. There are far too many scams out there and this even puts people off the legitimate opportunities. They get scared of anything to do with online business in case they fall for a scam. Educating people is the key to them overcoming this fear of all things related to online business. The saddest part is that many people even believe that affiliate marketing is a scam. Just because so many scammers use affiliates to promote their scams the whole industry gets a label of being a scam. You did a great job of explaining a scam but also balancing it out. Because nowadays people call anything they don’t like a scam. I didn’t make money so it’s a scam. They sent a mean email to me so it’s a scam. A squirrel farted so it’s a scam. You get the picture. But this gives people a solid foundation to work with. Unfortunately too many people want short cuts so scam artist will continue to thrive because they feed on folks lack of delayed gratification. But regardless this was a great job. Hi Jay…. fantastic read and wonderful eye opener on how easy it is to play around with clickbank screenshots. I’ve always known countless con artists tamper with these screen shots. I recently came across a youtube user that I suspect for showing fake screen shots but then he made me think twice when I saw him on video start on the clickbank homepage, then log in, and his earnings were still as impressive as his screenshots. So my question to you is… is it possible to fake screenshots such that you log into your account and those fake shots are still showing? Here’s the link to the video I’m talking about. Please let me know what you think. Hi Jay, can u recommend me which paid traffic sources that can generate sales besides using AdWords, FB ads & Bing? Forget about seo. I don’t have ANY website yet but i am using hoplink from my clickbank affiliate & using bitly to shorten my url. In your experience………is that any cheaper high targeting traffic sources that can be trusted? Hope u can reply to me asap………maybe 1 day i will join WA in near future. Thanks….! I think FB ads is a great way to get started with a low budget. Keep in mind that success with paid traffic has very little to do with the platform and more how the user applies themselves to the program.